Following The Money: This page is designed to help the public find out who’s funding their elected officials. The information shows state officeholders' top donors over time across a variety of giving methods. The data comes from the Secretary of State’s database and IRS filings. The data was last updated March 11, 2019, covering disclosures available through Dec. 31, 2018. This page is available because of the support of MCFN donors. To contribute, click here. 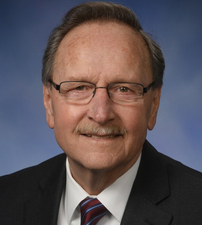 Current representative: The current representative for the 47th District is Rep. Henry Vaupel (R-Fowlerville). The district includes Fowlerville, Howell and a portion of the city of Fenton. Rep. Vaupel was first elected in 2014. He is chair of the Health Policy Committee and a member of the Education Committee, the Insurance Committee and the Tax Policy Committee. A map of the 47th District is available here. Rep. Vaupel raises money through a candidate committee, Dr Henry Vaupel for State Rep Committee and a leadership PAC, Vaupel Victory Values Leadership Fund. Campaign finance reports can be found in the Michigan Secretary of State's campaign finance database. If you see an error in the above data, please contact us at mcfn@mcfn.org.